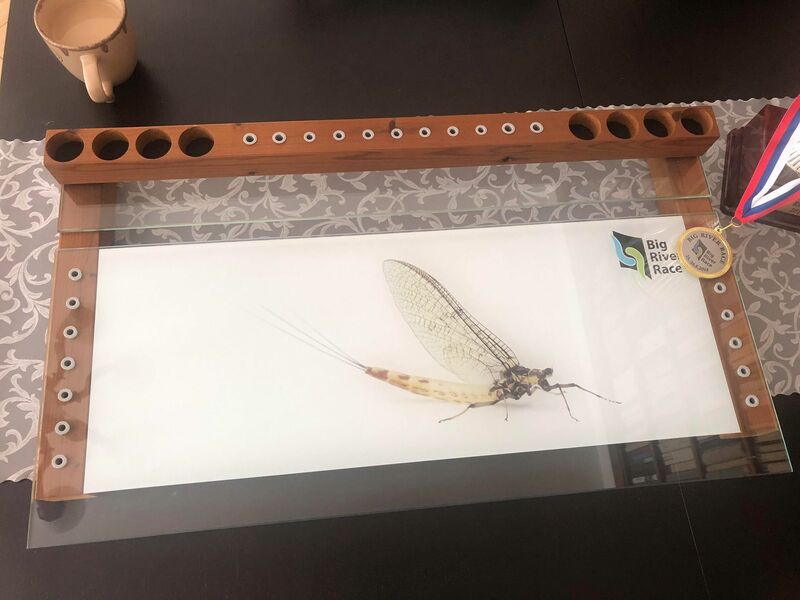 My friends from company Thymallus, the partner of Hanák Competition in Slovakia, had invited me to visit the famous River Váh which they manage and to attend their competition Big River Race, the biggest fly fishing competition in Slovakia, which is based on the same rules as our Hanák Open. 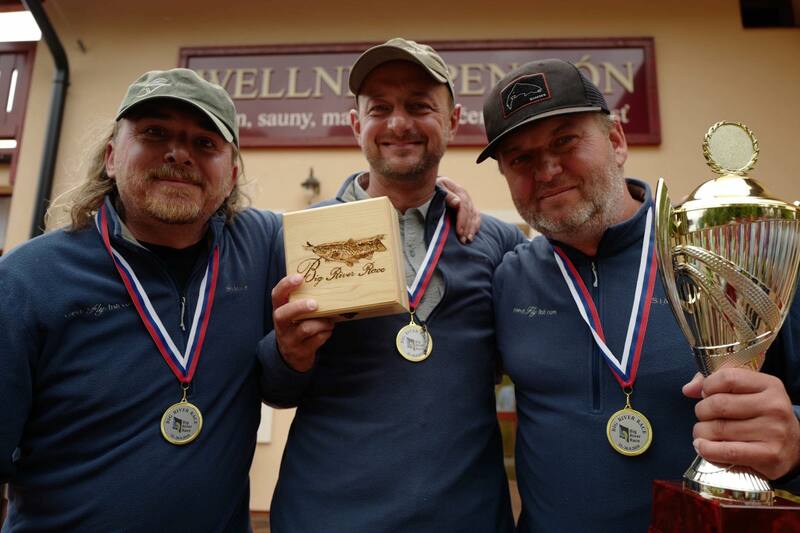 The competition is for teams by three fishermen, it has three rounds and everybody fish twice and in the third session, he is judging another team. 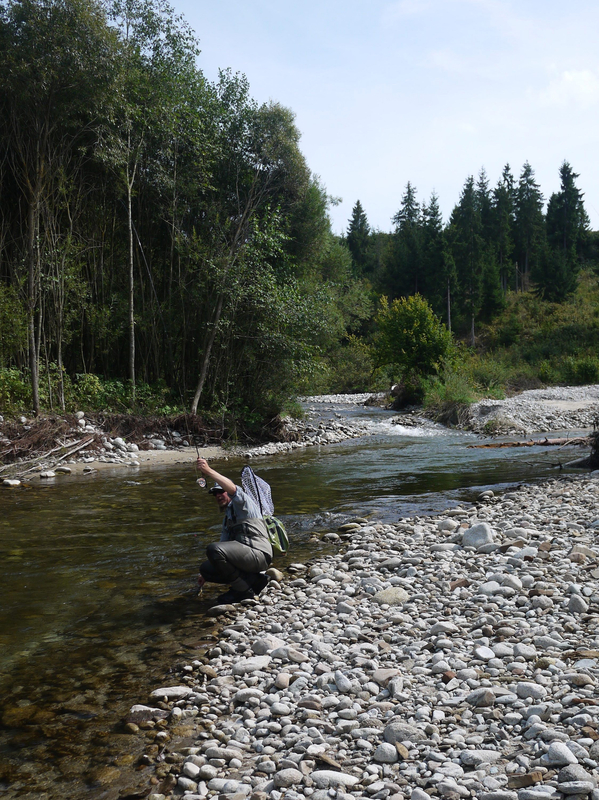 We arrived to Rožmberok on Wednesday afternoon and Jano was waiting for us in the shop with fishing licences and basic info, and we were running to the water to the “catch and release” section downstream from Ivachnova. Discharge was relatively low, water was clear, weather was nice. 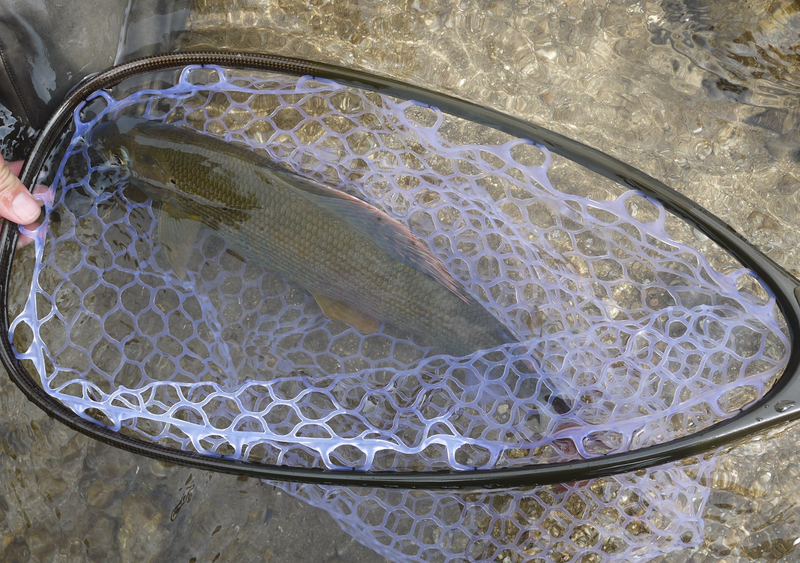 I decided to try streamer, but except of few perch, I had no take. 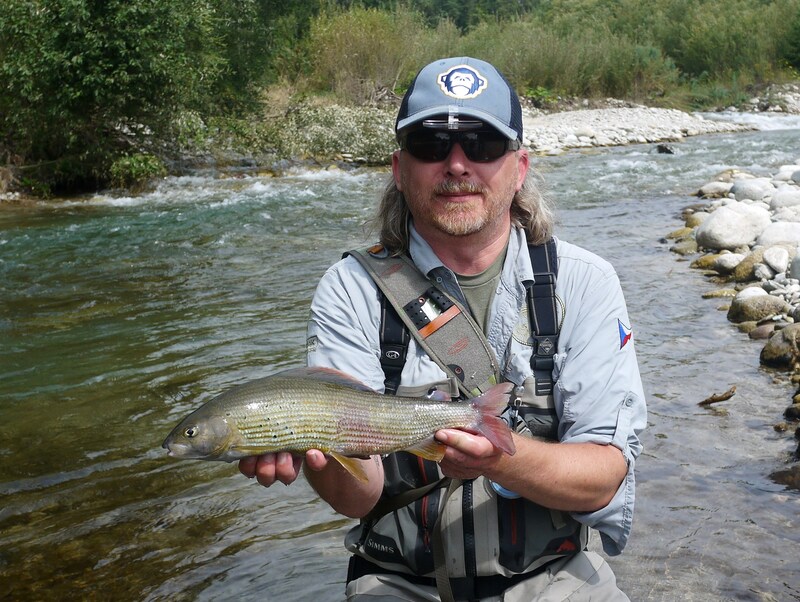 Later in the afternoon, I saw some rising fish, so I moved for dry fly, I got one grayling, one rainbow of about 40 cm and I lost one bigger, but I have to say, that about 10 big rising fish had absolutely no interest in my flies (later my friends from Slovakia told me, that because of high fishing pressure, it is necessary to use tipped 0,10 mm). 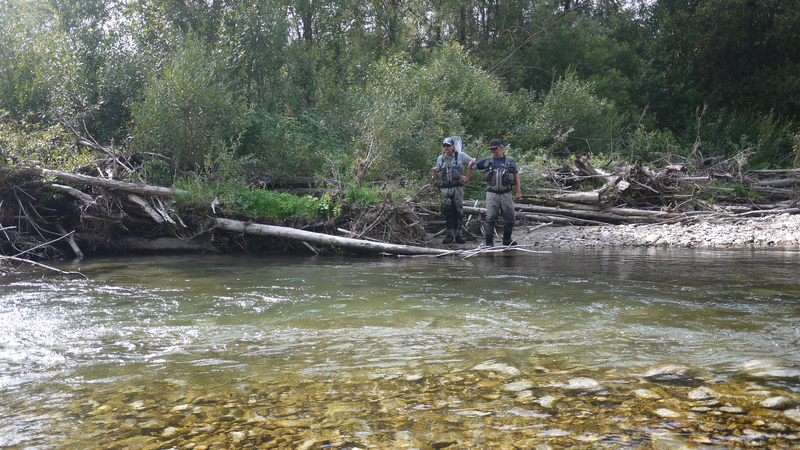 Patrik and Honza were nymphing and caught about 10 fish, both browns, grayling and rainbows. 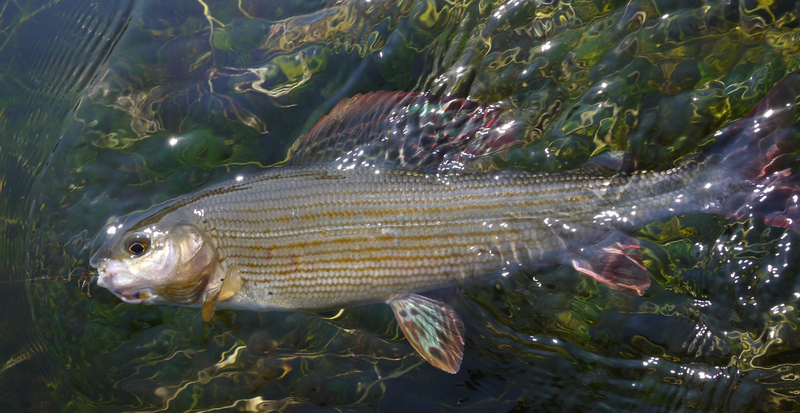 The second day we were practising further upstream in Ivachnova around an island, beautiful place, and we tried nypmhing, dry fly and also dry-dropper. 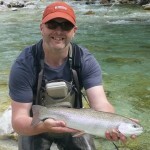 We caught about 20 fish between us, Honza hooked 8 big rainbows but landed only 2, 0,14 mm tipped was not strong enough …. Although we caught not so many fish and competition is influenced by fish stocked on Friday, this practice was very useful for us. 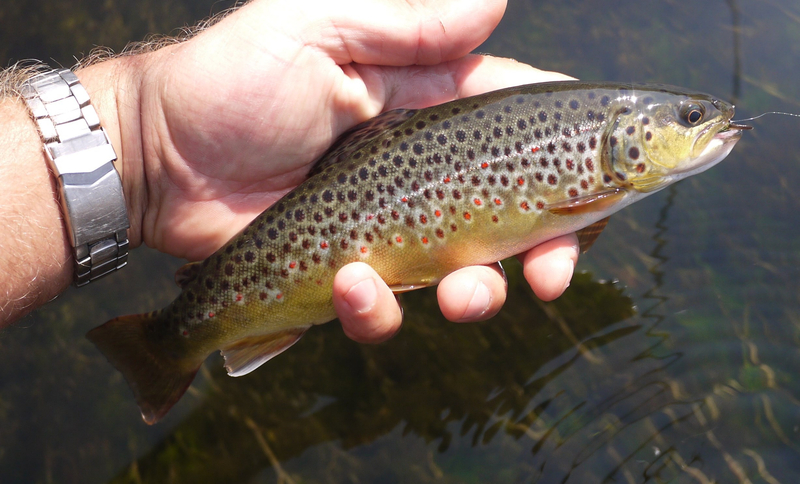 We explored the river, how was wading, we found, that fish preferred very small flies in size 18 – 20, and we found, that there was a hatch of olives whole day around. In the evening, we were talking with other teams and we found, that we were not too bad, their experience was similar. It was good for our self-confidence. 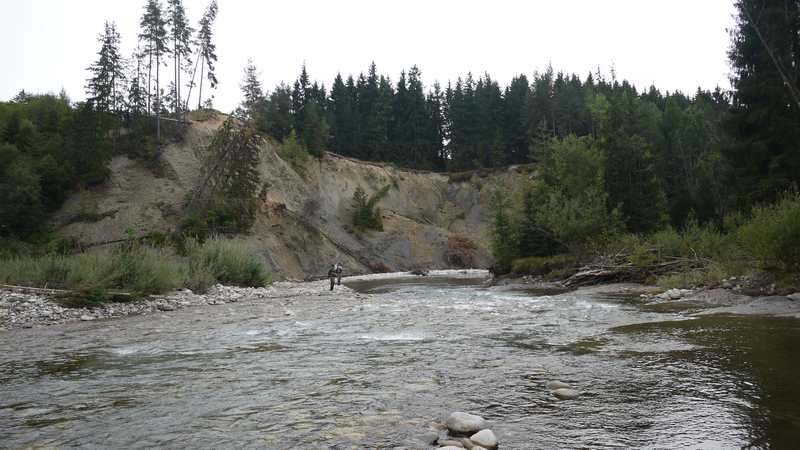 On Friday, the competition river was too busy and we needed some rest in the pure nature, so we decided to visit smaller mountain river Bělá for a short session. 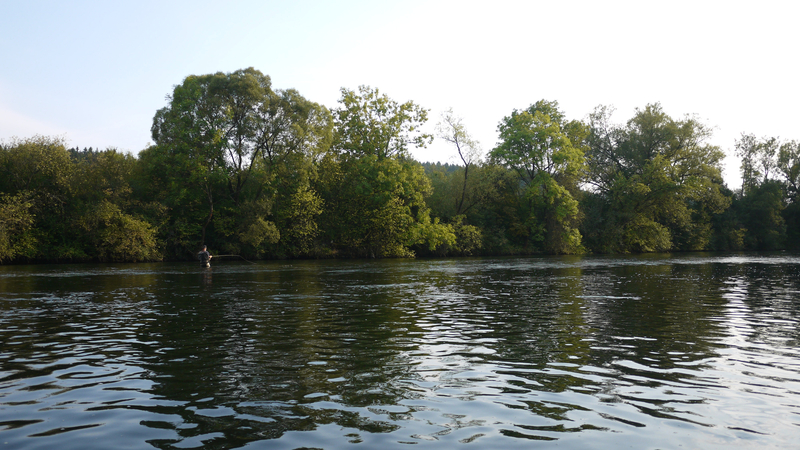 River was beautiful, we caught many nice fish, surprisingly, brown trout was in parts with slow current and in the fast water we caught nice graylings. 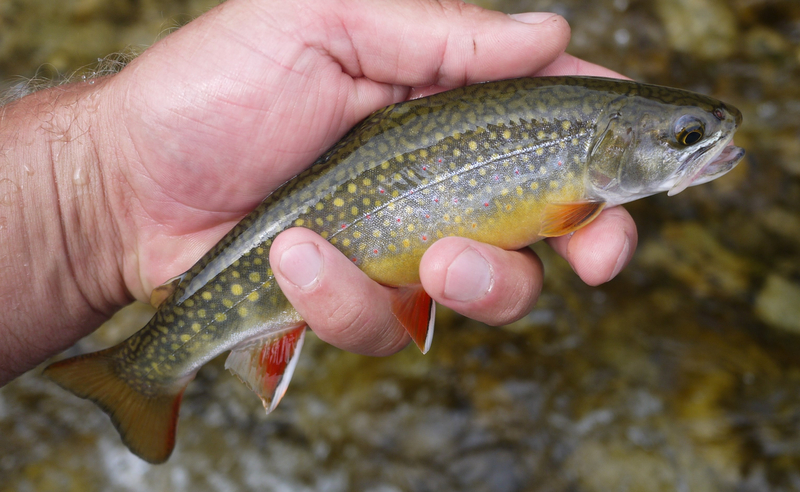 We caught also few rainbows and brook trout. 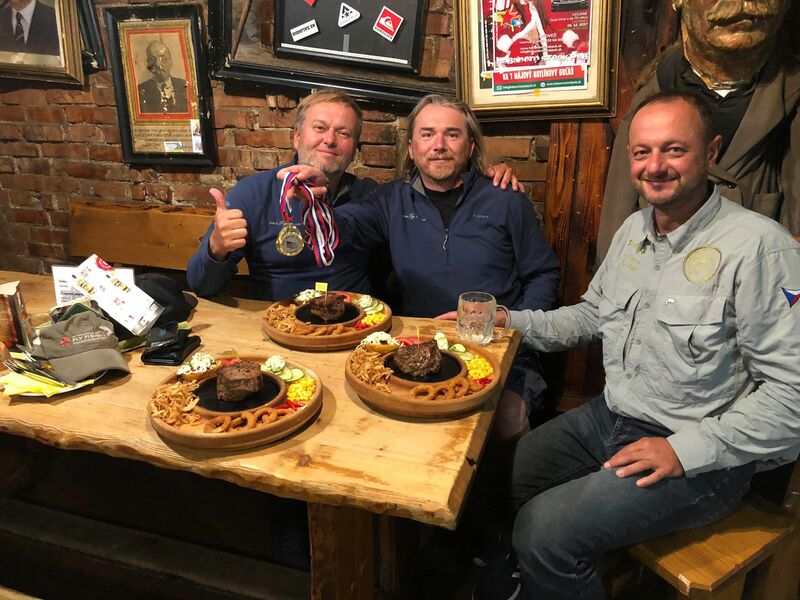 As there are bears in the mountains, we were still watching forest around the river, and even though we did not meet one, we had to wash our underpants in the evening In the evening we attended opening ceremony and draw and we were preparing our equipment and tying some flies.. 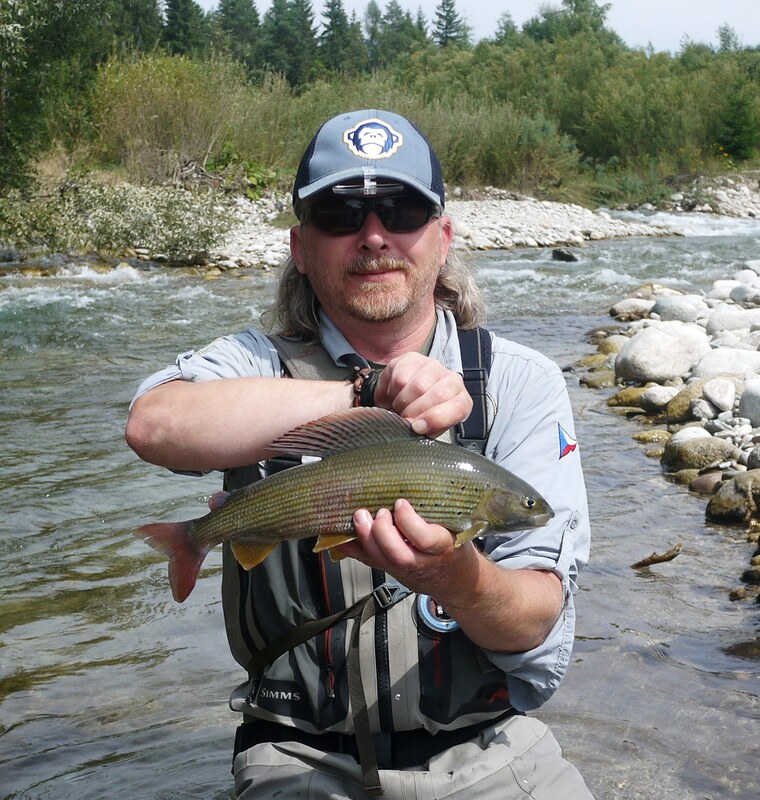 In the first session, I was fishing with Patrik, we had nice pool, so I was fishing first with streamer and Patrik was cleaning water behind me with nymphs. We were lucky, that our judge was Tomáš Starýchfojtů, and he helped us with very useful tips as he knew the peg. 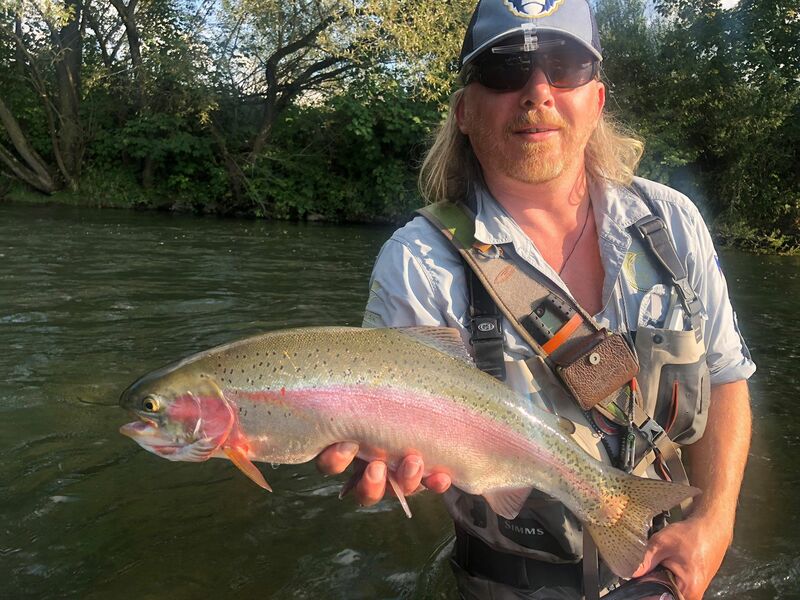 We went through the whole peg twice, after 30 minutes I also took nymph, we were systematically filtering the water and catching fish after fish, and finally, after “good performance in a good place” we won the session with 28 fish, half browns and half rainbows. What a good start of the competition. I was fishing with Sage Z-Axis size 8 and 0,24 mm tipped for streamer, Sage Z-Axis size 5 and 0,14 mm tipped for heavy nymph, and Hanák Superlight size 3 and tipped 0,10 mm for light nymphing. I lost only one fish, same Patrik. 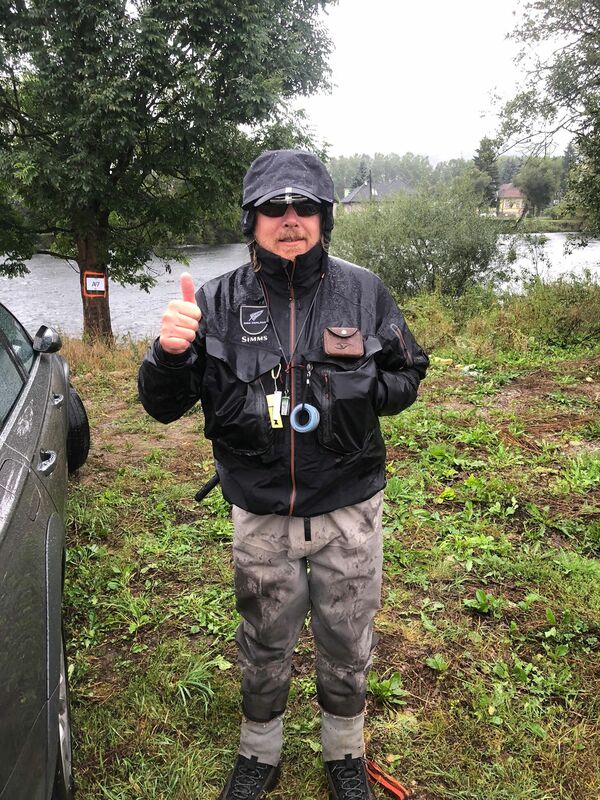 In the afternoon, Patrik and Honza had another good peg, Honza was running for chub to opposite bank and Patrik was nymphing in ripples, and 20 fish was enough to win the second session. After two sessions, we had total placings of 2, and another three teams had 4, so the calculation was simple, if we finish up to 2nd place in the last session, we will win. 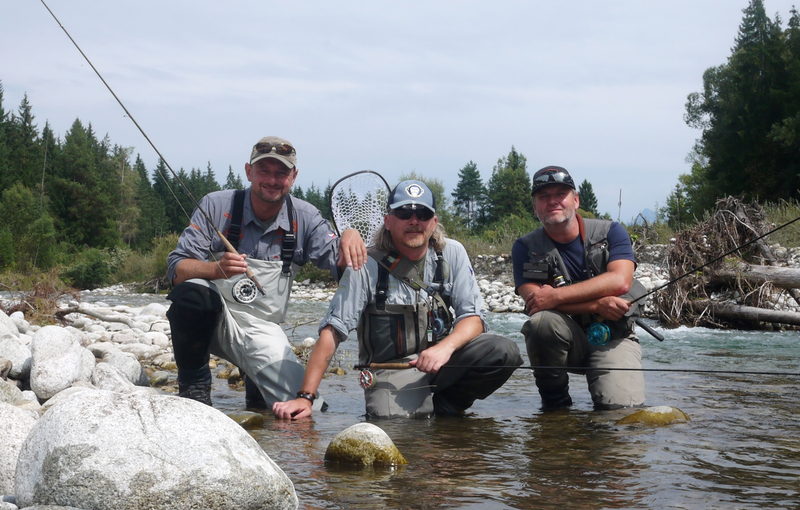 In the last session, we were fishing in the hardest sector A. 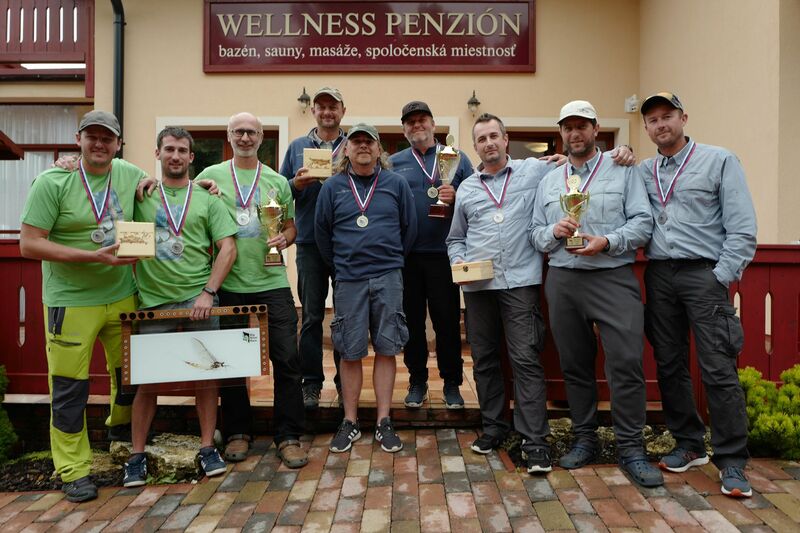 Our peg was not ideal according to results from the previous rounds, Czech youths caught there 8 fish in the first session and next a Slovakian team only 2. At the river, we were welcomed by heavy rain. 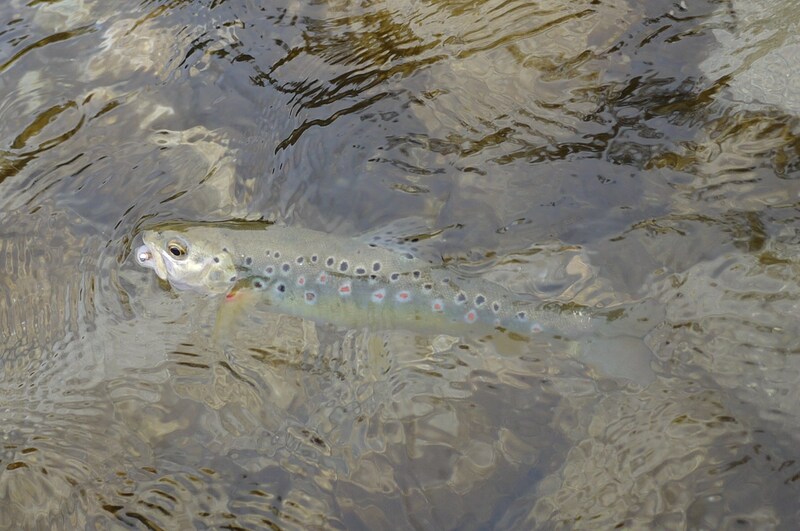 Our peg was very shallow, but we found several suitable places, and along the whole opposite bank was a promising gutter. 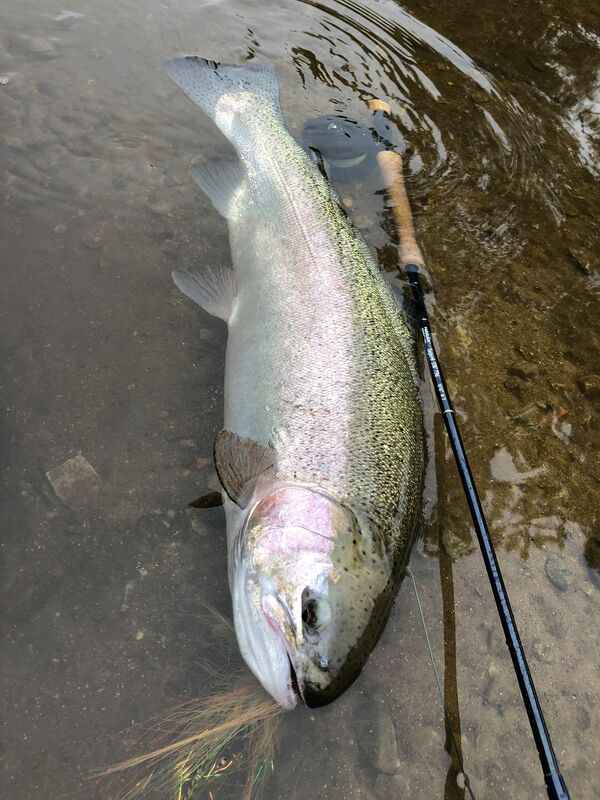 We decided to fish bottom up with nymphs and soften our equipment, so I was fishing Superlight rod size 2 and 0,10 mm tipped. 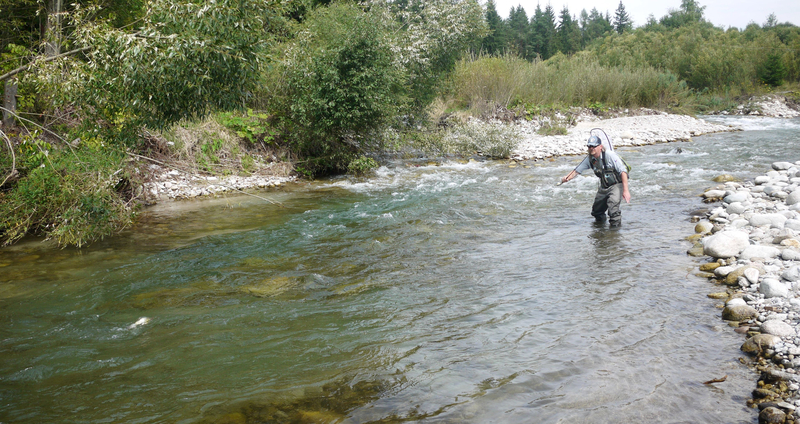 Honza was fishing first with a little stronger gear and I was cleaning rest behind him. 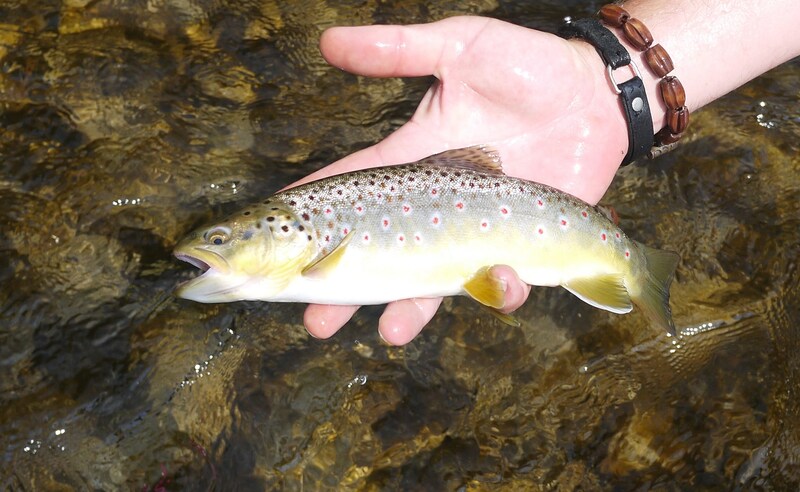 First brownie I caught after 2 minutes and after about 20 minutes we had 4 fish in the scoring card. At this time, I started to believe to the success as our methods and hands were working well and we still had a lot of time. Finally we both caught 9 fish, including nice brown and few strong rainbows, and won the third session with 18 fish and all competition with total placing 3 and total catch of 66 fish . To summarise, we were lucky on the draw and we were fishing well. Competition was well organised, we won great prices, hotel was comfortable, staff helpful, food good, people friendly, weather horrible, simply great trip . 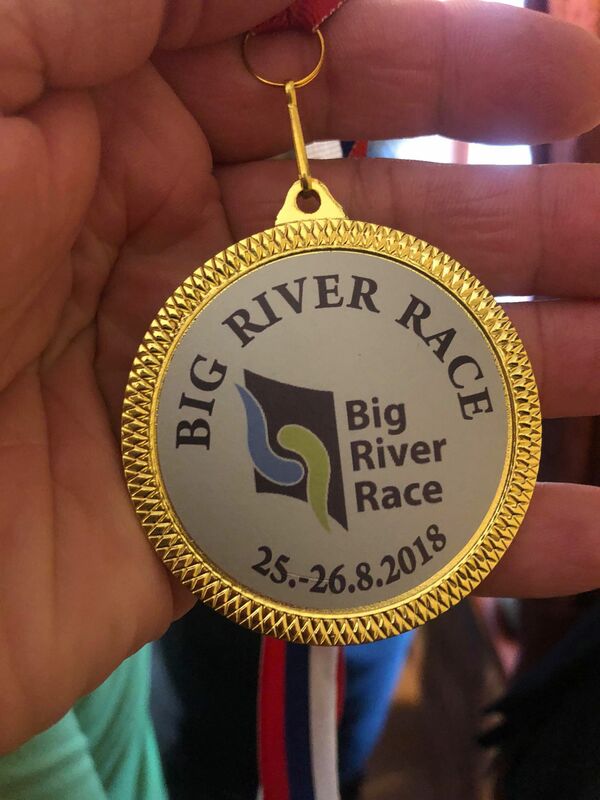 The competition is connected with recovering of fish stock in the River Váh, they found great partners, and they use money from competition fee for stocking of fish, not only rainbows, but also pristine brown trout, grayling and the big Danube salmon. This is great approach. 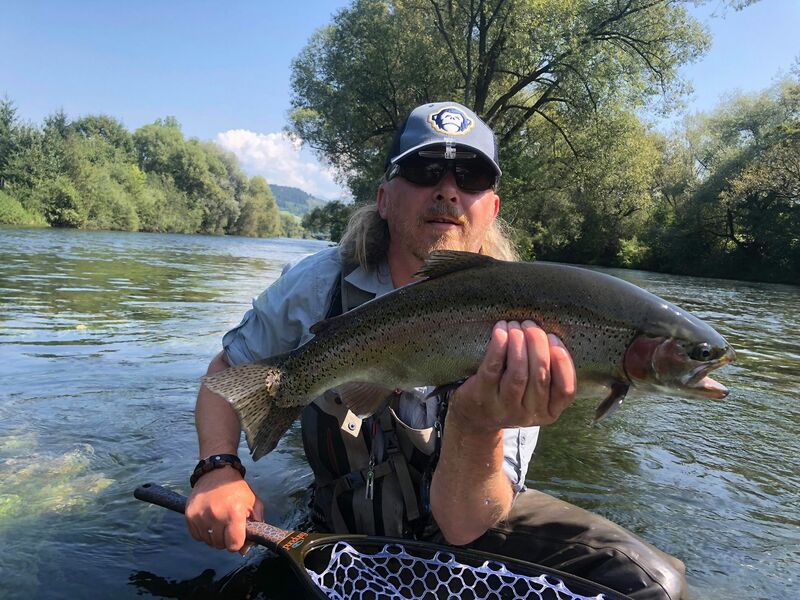 The River Váh is great and hosts nice fish including real monsters and it is definitely worth to visit despite of the industrial surroundings, we are definitely coming again next year.